HARTLAND, Wis., (September 11, 2014) — The new Next Generation 3200 Series Conveyor is just one of many platforms Dorner Mfg. is exhibiting in booth No. 5336 at PACK EXPO 2014, Nov. 2-5, at McCormick Place in Chicago. 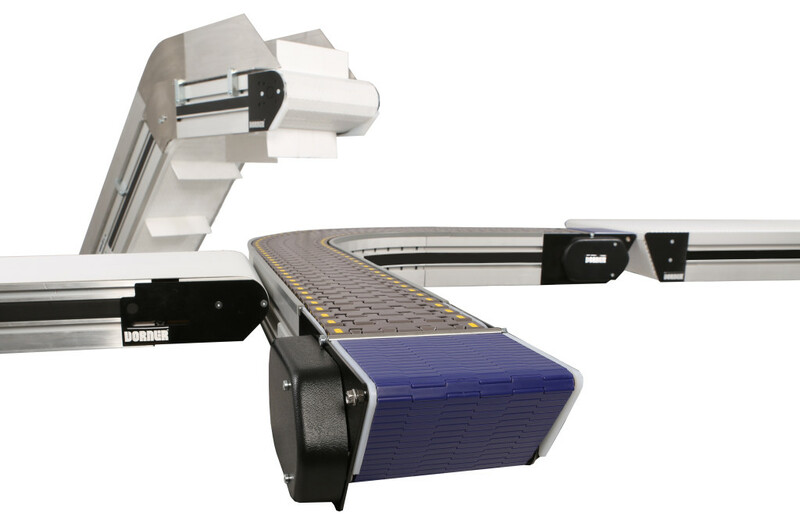 Dorner is a leading manufacturer of low profile belt conveyor systems for packaging, medical packaging, automation, sortation and food packaging industries. This new next-generation platform was created by merging and improving Dorner’s 5200/5300 Series Conveyors with the 3200 Series family of conveyors. The 3200 Series Conveyor is designed to give customers more options and added flexibility to serve a greater range of packaging, assembly, and industrial markets. The new line is compiled of three models including flat belt, modular belt, and Precision Move. Attendees can also see the 2200 SmartFlex, a flexible chain conveyor platform that’s ideal for the packaging, food, medical and assembly industries. The 2200 SmartFlex removes the guesswork in specifying and ordering a flexible chain conveyor by giving customers the ability to build a complete conveyor assembly to their exact layout dimensions and view it in 3D within minutes. Have to move a small or lightweight product in an extremely tight space? Then check out Dorner’s 1100 Series conveyor platform. It features a compact design with a 3/4″ frame height, making it the smallest low profile conveyor available in North America. This low profile enables the conveyor to fit into tight spaces, freeing up valuable machine or worker space. The 1100 Series is designed for lightweight or very small product movement and is Clean Room Class 100 Certified, making it ideal for medical, pharmaceutical, life sciences, and industrial applications. Additionally, Dorner will have its other major conveyor platforms on display at PACK EXPO, including its AquaPruf and AquaGard family of sanitary conveyors for the food and food packaging industries. To see these conveyor platforms in action and to learn how they can be custom built to your exact specifications and operating in your facility in less than 10 days, make plans to visit Dorner in booth 5336 at PACK EXPO 2014.